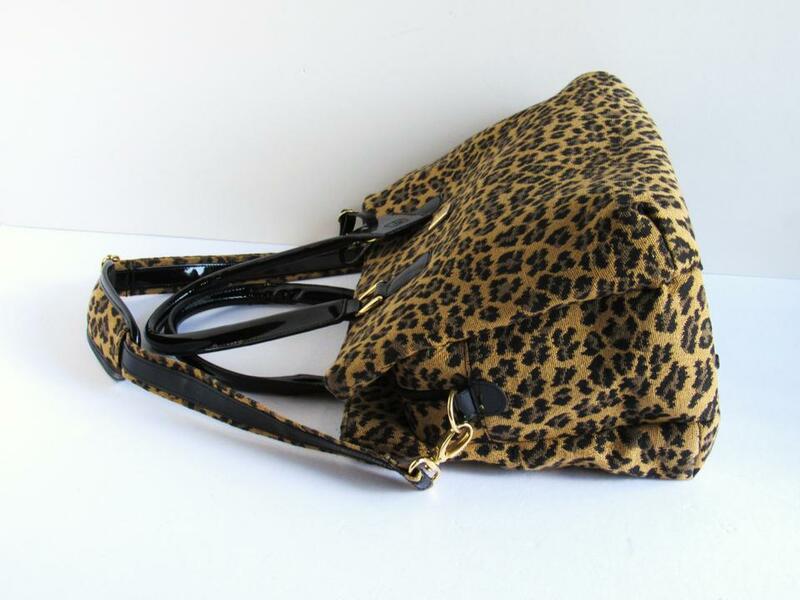 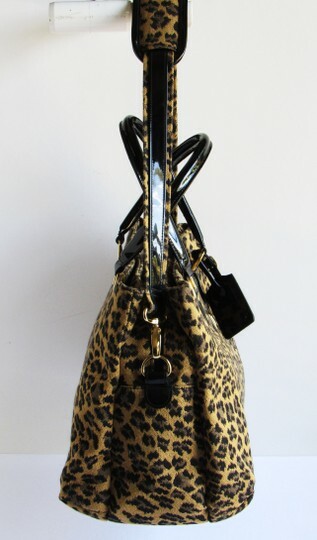 Fabulous new Diane Von Furstenberg lightweight leopard print tote/shoulder bag in pristine condition. 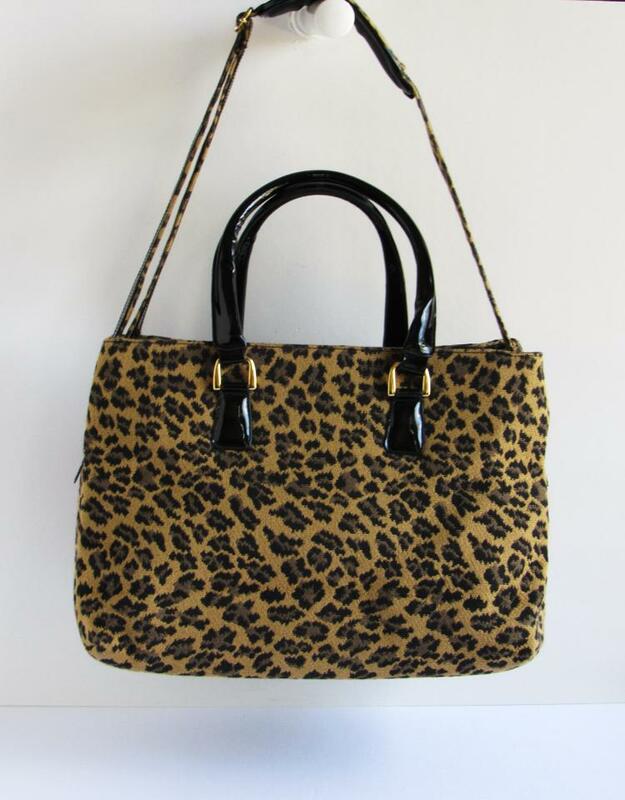 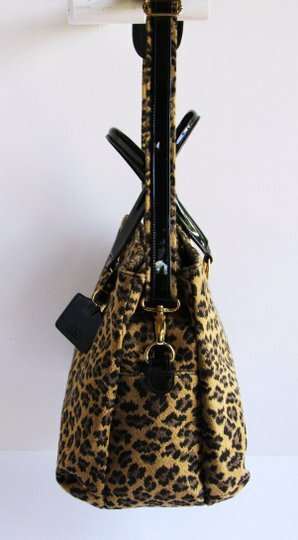 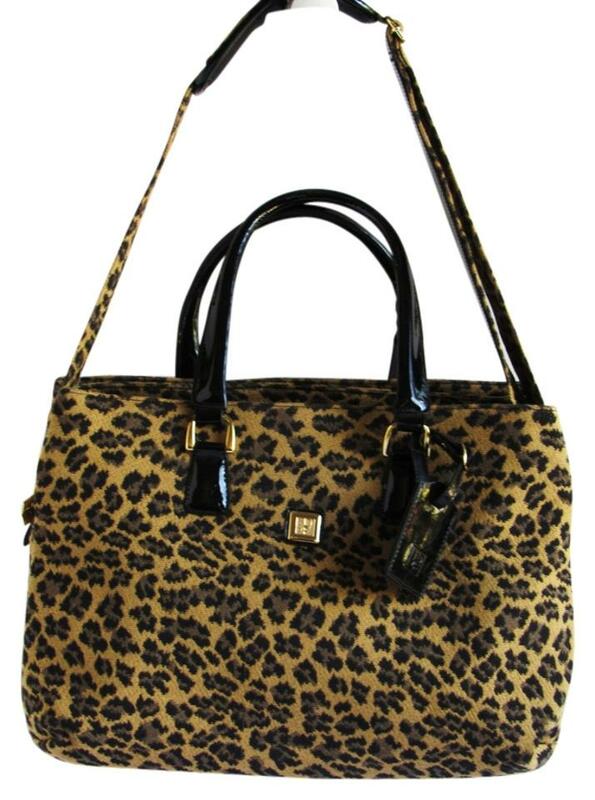 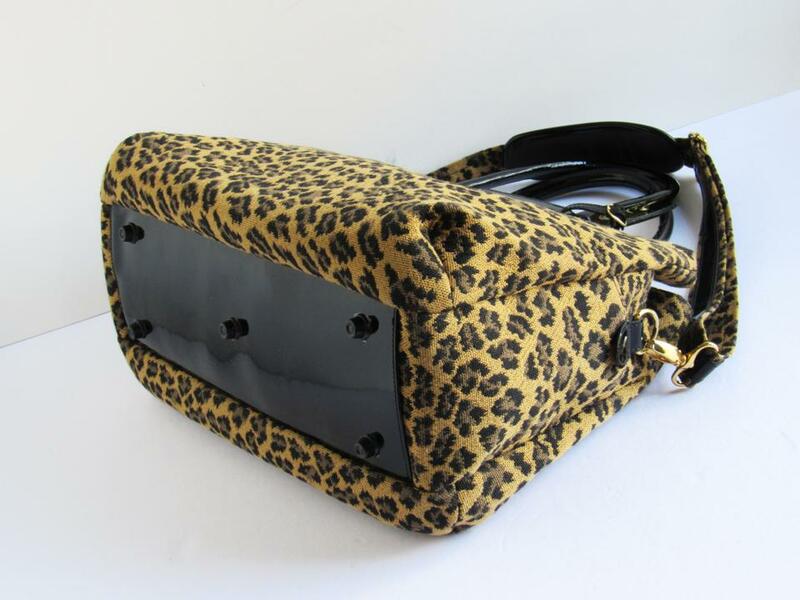 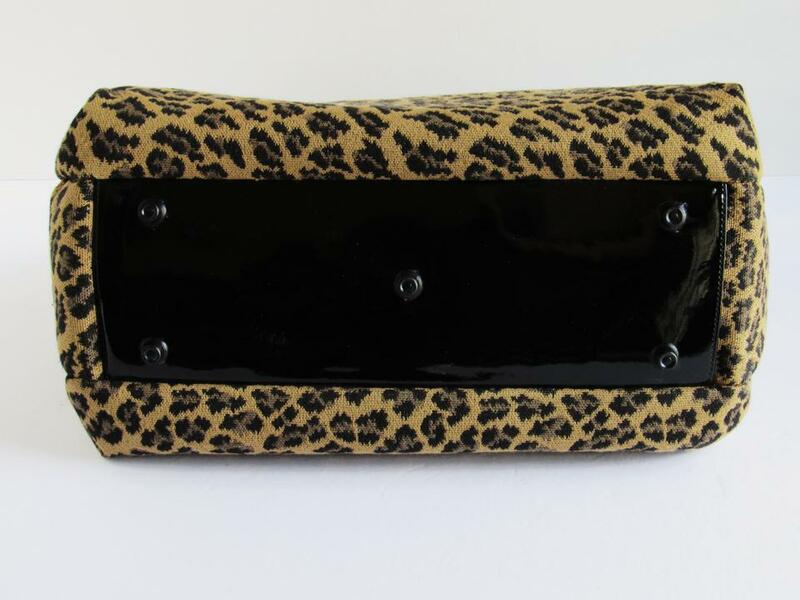 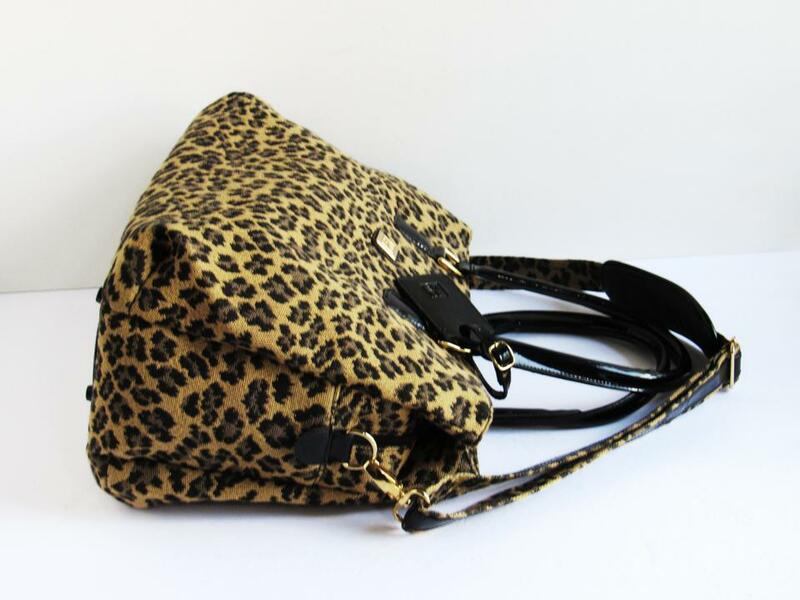 Stylish DVF design blending leopard print canvas with black patent leather trim and gold tone metal hardware accents. 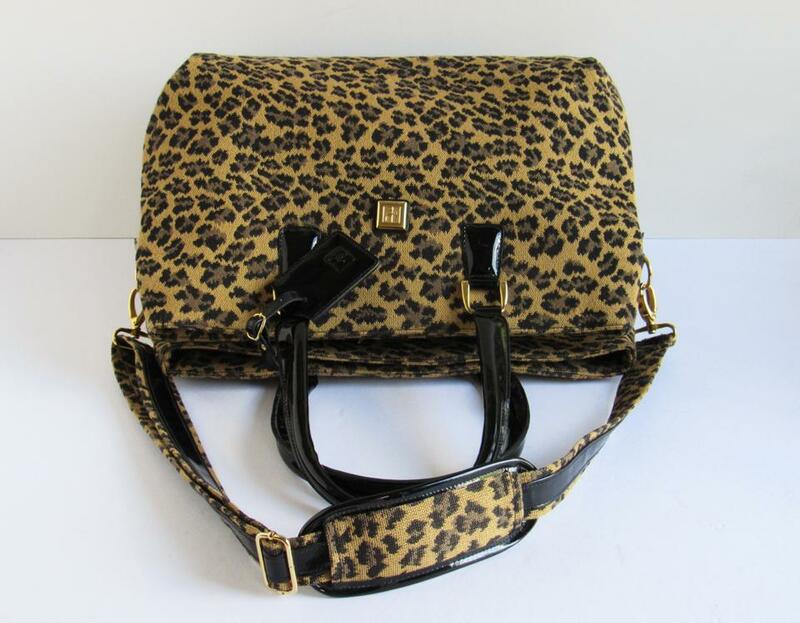 Convertible bag with adjustable 1.5" wide detachable flat shoulder strap with shoulder pad. 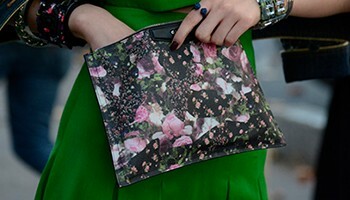 Utilize the double 7.5" drop patent leather wrapped rolled top handles to carry as a fashionable tote. 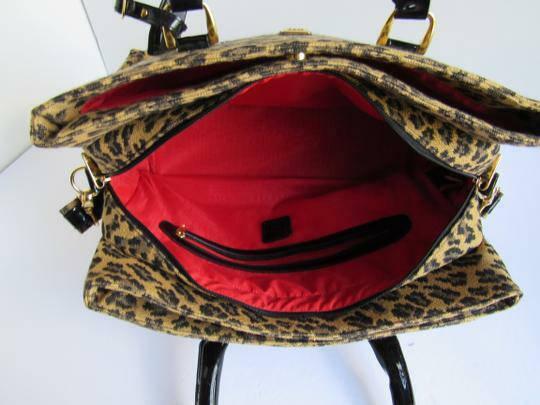 Extra spacious interior has large center zip compartment with sidewall zip pocket and large front and rear compartments with magnetic snap closures. 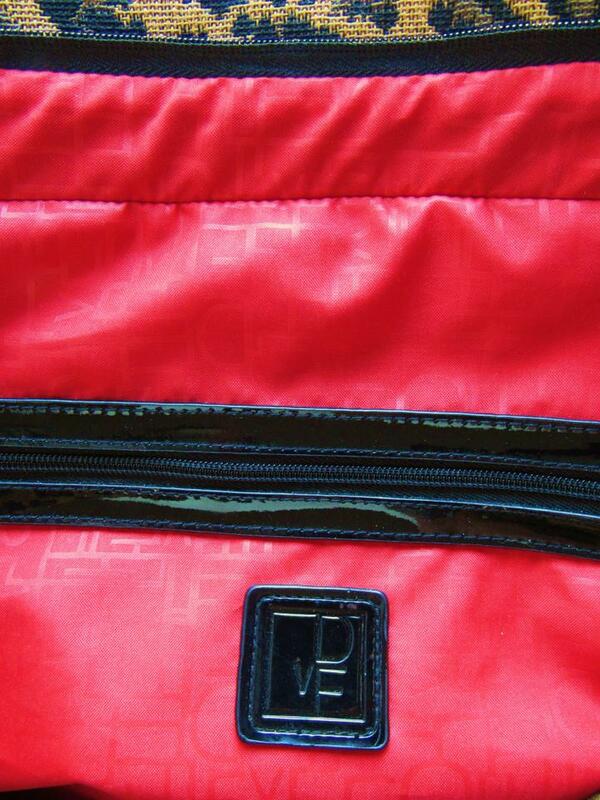 All compartments are lined in red DVF monogram fabric, clean, spotless and odor free.